The beef cattle at East Mountain Farm are rotated daily, usually in the afternoon, onto fresh pasture providing them with high energy grass. To finish, pasture grass and hay are supplemented with a limited quantity of grain. The pigs are raised in the woods surrounding our pastures on a diet of locally produced grain, whey and whatever their incredible snouts discover while rooting through the forest floor. The chickens are on grass from day one and spend the rest of their lives with complete access to grass, sunlight, bugs and soil. All this adds up to well-cared for animals and delicious meats. 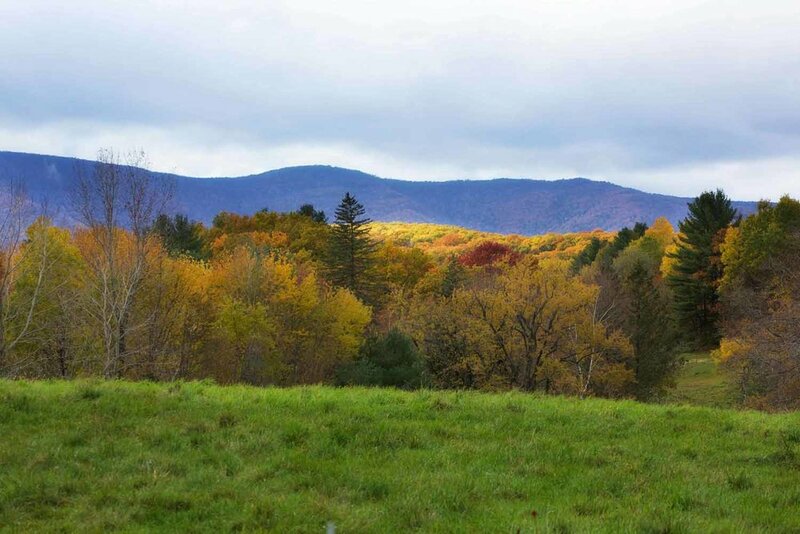 "Kim Wells, the owner of East Mountain Farm, had always dreamed of owning his own land. After he finished his English degree at Williams College, he fulfilled his dream with the purchase of what is now East Mountain Farm. Wells purchased the land in 1982 and, pulling on a few years of farming experience in Kentucky, began raising livestock. He began selling meat in 1987 and today his pasture-raised beef, chicken and pork have many fans in the region."